There once was a time when you could exchange $200 worth of Chase Freedom rewards for a $250 check. This 25% bonus was a very nice perk, but it has long since disappeared. That’s the bad news. The good news is that Chase has started offering bonuses when you redeem your rewards for select gift cards. For example, you can redeem $20 (or $40 or $80) in rewards for a $25 (or $50 or $100) gift card at AMC theaters or Land’s End. That’s a 20% bonus, though your options are fairly limited. Update: A reader named Andrew wrote in to point out that Land’s End is owned by Sears, and that the gift cards “should be” transferrable. I’m not sure if that’s true, but it’s worth checking out if you’re interested in a (possible) 20% discount at Sears. Alternatively, you can redeem $22.50 (or $45 or $90) for a $25 (or $50 or $100) gift card at Amazon, Barnes & Noble, Bed Bath & Beyond, TGI Friday’s, TJ Maxx, Kohl’s, Macy’s, Starbucks, or Outback Steakhouse. That’s a 10% bonus. Since we shop there so often, I view Amazon gift cards as being (more or less) the equivalent to cash, so this is a fairly attractive offer. No, 10% isn’t a huge deal, but it’s far better than nothing. If you’d still prefer to get cash back, they’ve also rolled out some additional redemption options. In short, you’re no longer limited to getting a check — you can now request a statement credit or direct deposit. Also… If you don’t already have the Chase Freedom card, you can get a $100 cash bonus by applying for one, getting approved, and spending $500 in purchases with the card within the first three months. Technically, you’ll get 10, 000 points, but you can easily redeem these for a $100 cash bonus (or for up to $110 or $120 in gift cards). For what it’s worth, we’ve had this card for years and have never had any problems getting Chase to hold up their end of the bargain. You just login, request your check (or whatever), and it magically shows up. Anyone know if this bonus will trigger a 1099 form (taxable income), or is it just tax-free money? Thanks. Lands’ End cards will work at Sears (and KMart actually). I’ve done this frequently and it works. Interesting, Ken. Now that you mention it, the 5% rewards was only on the top 3 categories, not on all categories…my mistake. In any case, those days are long gone, at least 2-3 years now for us. Did you call and ask them to keep your card the way it was or they just never changed you over? Had you been a prior Chase customer out of curiosity? My father had an old Chase rewards card that gave 5% back on gas. He continued to get 5% long after a friend’s same card converted to a smaller reward, so it seems different customers get different perks. Our credit score is perfect and we never carry a balance, so I don’t think it’s related to credit worthiness. I must be grandfathered in on a lot of benefits that have gone away for other people. I can still redeem $200 worth of rewards for a $250 check (I did this last week), and I not only get 5% back on rotating categories, but I also get 3% back on my top 5 spending categories and 1% on everything else. And never an annual fee, like what Matt apparently got hit with. I don’t know why I’m getting benefits others aren’t, but I won’t look a gift horse in the mouth. I’ve had the Freedom card since it came out. There were so many 5% categories when the card first came out AND the 25% bonus cash like you refer too. Then, I started getting letters from them saying how they were “improving” my “customer experience” by changing the rewards program… ie, cutting back the 5% categories to rotating categories (all of the rotating categories used to be regular 5% ones) and adding an annual program fee of ~$35 (which they “graciously” waived the first year and ultimately got rid of after 2 years to the fanfare of an additional “improving my experience” letter). Mind you, I liked the original experience and wish that didn’t change because there was really no way to improve that, but I understand it was a sign of the times. I keep the card now because it’s my longest open card and the rotating categories still help as well as the discounted gift cards. 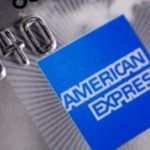 I’ve since switched primarily to the Amex Blue Cash Preferred that you happened to write about last week. Much better benefits (6% on groceries, 3% on gas) despite the annual fee. Agree completely about Chase being reliable! Not only that now I notice if you want plain cash you can redeem all your points for cash, like 3,081 pts converts to a check for $30.81, etc. Used to be just for certain denominations. Points add up when you have utilities and other monthly bills (insurance, etc) billed there, then pay off whole thing at end of month. They even have a “blueprint” category — you choose the category (gas, utilities, rent, etc.) then if that is paid off within 30 days (or on the next statement) you pay no interest on those things, just purchases past 30 days. It’s slick if you can get completely current and pay off whole thing every month. That way you get and automatic 1 to 5% bonus on everything, just for shopping. I switch between that and Discover for all current expenses. A good way to add a few bucks to the family coffer. I wonder if it still makes sense to by a flight with this card. I have over 100,000 points and I use to by flights because I could spend less points when compared to buy the flight outrights.